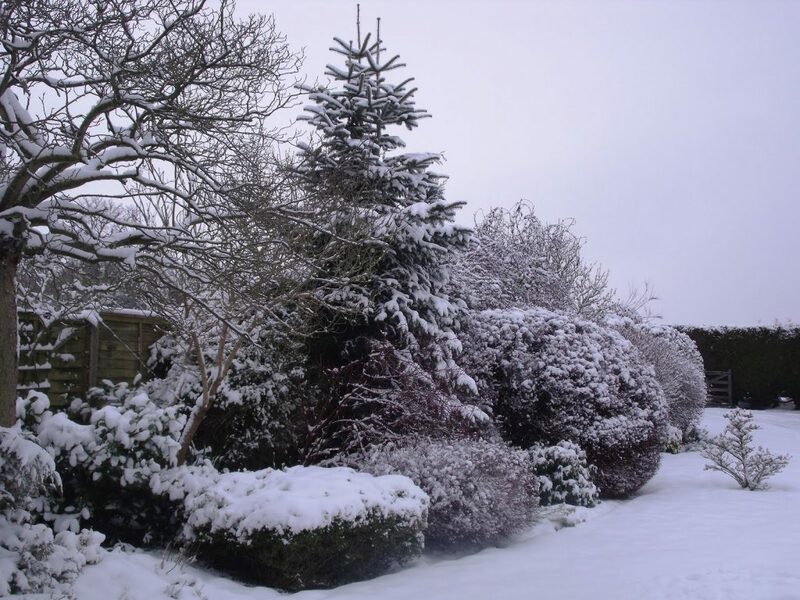 An often-missed opportunity for beautifying the landscape in the winter months is deciduous shrub and tree pruning. As the colors of spring and summer fade into fall with each plant entering a state of dormancy, the plants are easily disregarded. This naturally occurring dormant stage of the plant provides the ideal conditions for pruning. Pruning is crucial to both plant health and aesthetics for a number of reasons. It helps to maintain size, shape, and form of overgrown plants but also to remove dead or diseased branching. The process of “thinning” or removing overgrowth opens the crown of the plant for more direct sunlight and air movement within. When performed correctly, this process results in a more vigorous spring growth and bloom of the plant. Winter! Winter! Winter! Take advantage of the seasonal dormancy and plan for the health of the plants. Why do you need a landscape design? I’ve been a landscape designer for over a decade now and yet I still have some friends and extended family that have no idea what I actually do. They always just assume that I only do plant layout for foundation beds or small residential gardens. So when I show them photos of my projects that are full of not only plants, but walkways, patios, walls and lighting they seem genuinely shocked. ‘You really designed all that?’ or ‘I had no idea you did that!’ Are common responses that always makes me laugh. As a landscape designer knowledge of plant material is very important, but so is knowledge about different hardscape options, drainage, lighting and construction practices. All of these elements are important aspects of a well thought out landscape and a great reason to hire someone who specializes in landscape design to help you design your dream outdoor space! 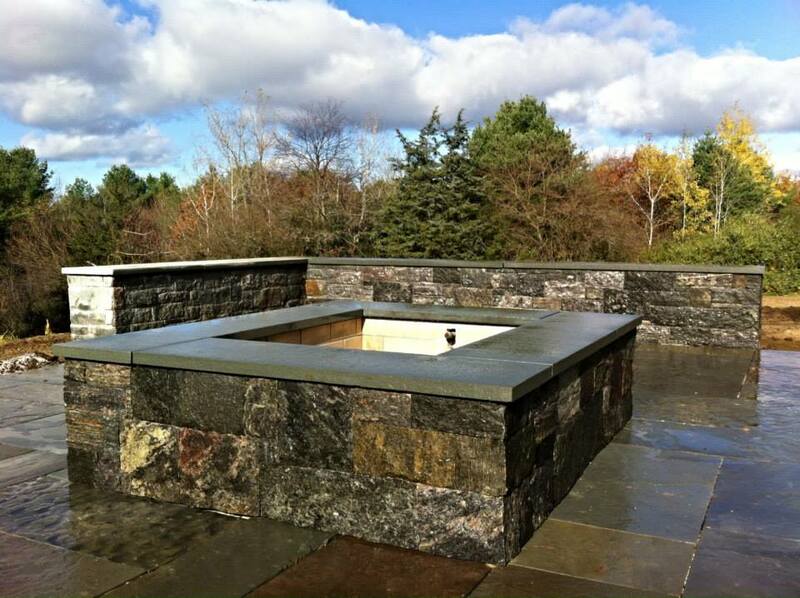 Working here at di Stefano landscaping means being a part of a full service landscape design and build company. We offer the broad spectrum of landscape services from landscape design, to installation of hardscapes and gardens, as well as maintenance of planting beds and lawns. We take landscape designs and make them a reality! Often when meeting with a client for the first time to discuss a project, the most frequently asked question is ‘Why do I need a landscape design?’ The answer to this question is that there are many reasons why having a plan is helpful when thinking about a landscape project for your home or business. 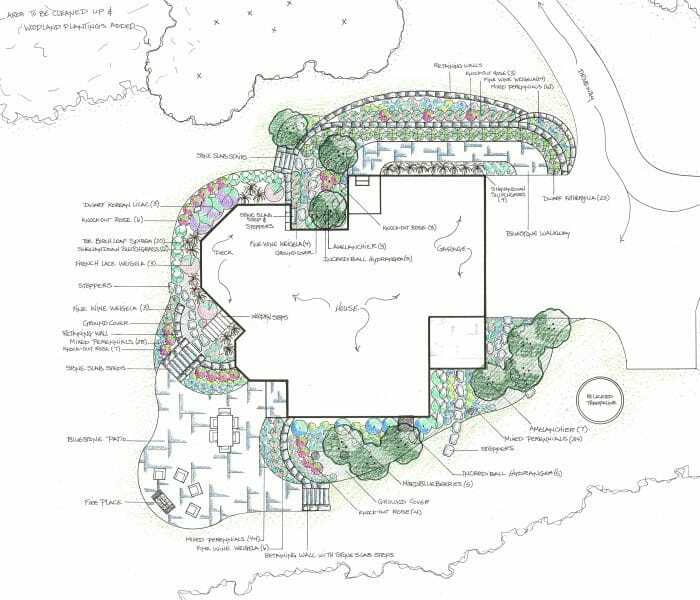 The first being that a landscape plan shows the overall look of what the space is going to be like when the project is completed. You will be able see where walkways or patios will be situated, how garden beds will help to create spaces and nestle hardscapes into the landscape and how each outdoor space corresponds with not only each other but also the building and the surrounding environment. Having a plan is especially helpful if you are thinking about a multi-phase project. The reason for this is because everyone involved in the project can see the long term goal of what you want to accomplish with your outdoor living space. Smaller projects within the whole can be picked off one or two at a time over a span of months or years. Here is a helpful list that we keep in our office, it mentions some of the many reasons other reasons why a landscape design can benefit you. 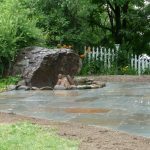 This list also highlights some of the many things that are taken into consideration when a professional landscape designer is working with you on your project. How does your landscape make you feel when you arrive home? What do you see first and is this something you want to change? How can we maximize the outdoor living spaces for our needs? Where will dining, play, entertainment or work take place? How are each of the desired spaces defined? Are there views that need to be highlighted or blocked? Do you need wind screens or plantings to help muffle the sound of traffic? Can slopes be turned into assets? Drainage concerns and where to direct/handle the water? Screening of existing utilities, panels, septic or AC units? Location of new utilities, panels, septic or AC units in correspondence to the desired use of the outdoor space. Where will chickens or other animals fit into your landscape? Where will wood, boats or RVs be stored? Can we conserve resources by limiting lawn spaces or adding shade trees to help cool the house? How can we create a truly one of a kind space for the homeowners to enjoy? How can we incorporate all the elements that the homeowner is looking for, like specific plant material both new and transplants, pavers or stone for hardscapes or raised beds for vegetables? What can be done to enhance curb appeal? How can we maximize the resale value / marketability of the home? How does the project provide value for the client? Does it purely make them happy to spend time in their landscape? Does it provide comfort or safety by installing a new front walkway and steps or do they see that there will be a financial return when they go to sell their home? Let us know if you have a landscape project you would like help with and we would be happy to create a landscape plan for you! A few weeks ago we received a call from the national publication Turf Design Build Magazine. They were chatting with landscape designers from different regions of the country about the use of color in the landscape. We were lucky enough to have them choose us! Our designer talked with them about the challenges of having a short growing season and about how she uses color and texture to enhance her designs. 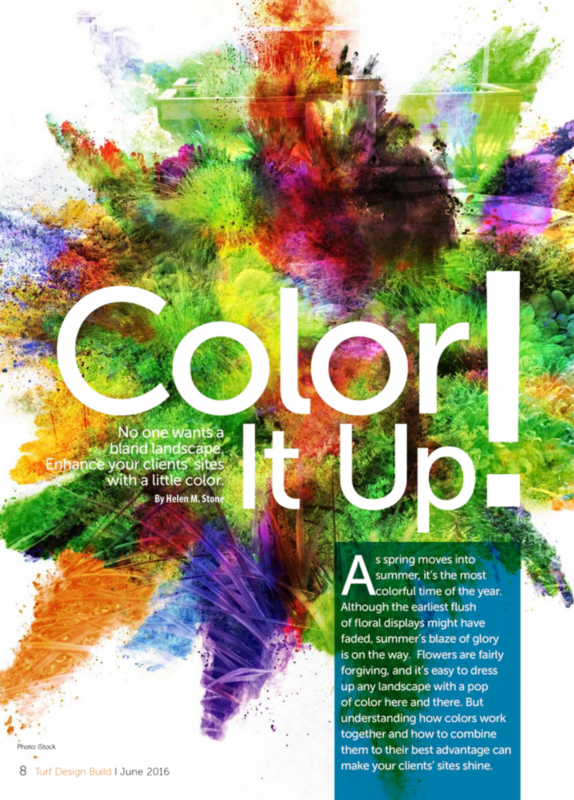 So check out the latest copy of Turf Design Build Magazine to see what our Landscape Designer and several others from around the country have to say about color in the garden! We all enjoy spending time in our yards with family and friends especially on beautiful Vermont summer days. So in preparation for the 4th of July and a long weekend, here are a few tips on building the best backyard sports courts. Have Fun! Start by constructing a wooden frame of approximately 10’ x 60’. Excavate to a depth of 8”. Line the area with landscape fabric. 6” of compacted gravel should be used as a base. 2” of Rock fines should be leveled and used as a finished court surface. Start by measuring the area. The pits should be made exactly 40’ apart for regulation length. The construction of two 36”x 48” wooden boxes should be placed at either end of the area. The soil within the boxes should be excavated several inches. Lay landscape fabric in bottom of box. Drive stake into ground at least 21” from front of the box. Make sure that the stake is sticking up 15” from grade and pitching forward at a slight 3” angle. Start by measuring out a 16’ x 16’ square. Next create a grid to create 8 rows across the top and down the side. This will give you 64 2’x2’ squares. 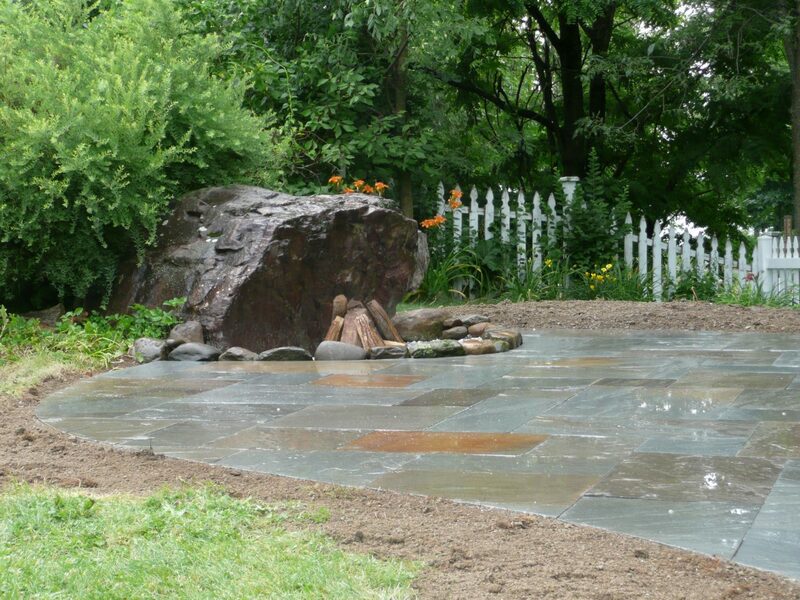 Remove the sod from every other square and lay a 2’x2’ bluestone stepper in it’s place. 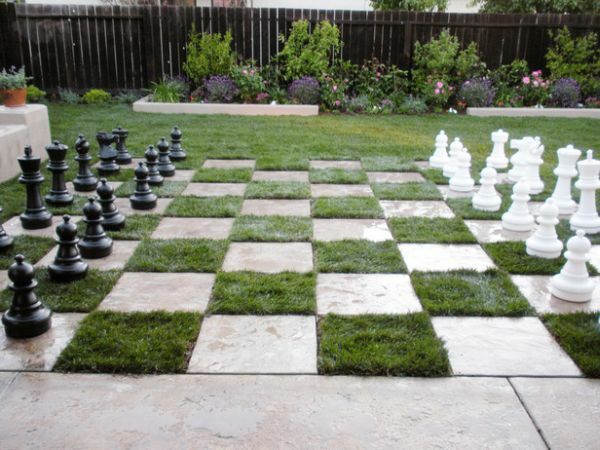 Large Chess Pieces can be purchased from many retailers online. Here are a few other classic courts you might be interested in as well. When we are asked about trends in the landscape industry here in Vermont, it is often mentioned that more and more clients are asking for native plants to be incorporated into their landscapes. A plant that is a part of the balance of nature, that has developed over hundreds or thousands of years in a particular region or ecosystem. Note: The word native should always be used with a geographic qualifier (that is, native to New England [for example]). Only plants found in this country before European settlement are considered to be native to the United States. Because these plants have grown in each geographic area for hundreds of years, they are well equipped for their environment. This means that these plants tend to require less watering and general maintenance. They also tend to have less pest problems, as they have acclimated to their surroundings. Native plants attract local wildlife as well, providing both sources of food and shelter. 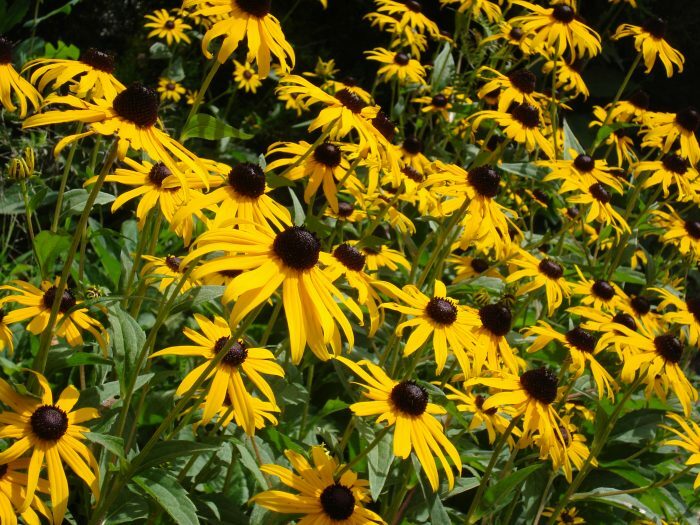 The Nature Conservancy has put together a nice list of Vermont Native Plants. Visit the USDA website to learn more about native plants. 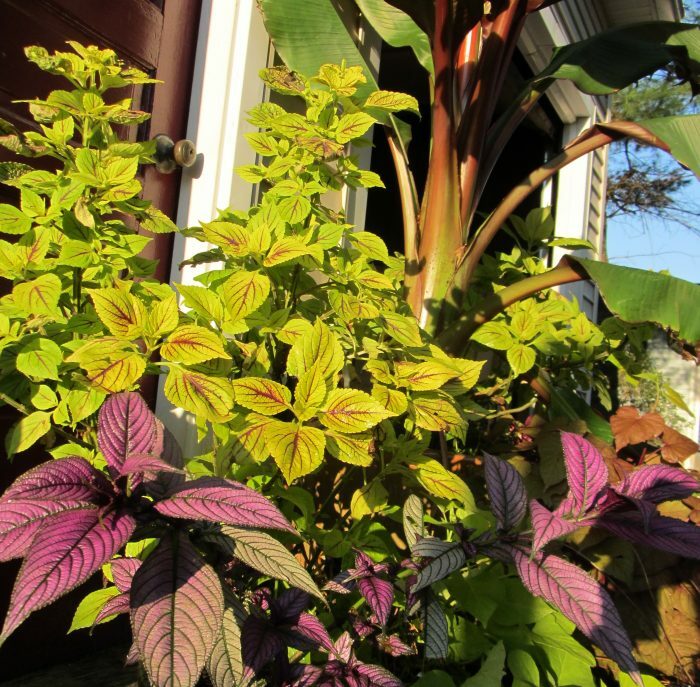 There are many things to take into consideration when it comes to container gardening. First you need to determine the placement of your planters. Are they going to be permanent or are you going to need to be able to move them? After you decide where you want them, you need to decide how many you would like and how large you want them. Would you prefer to have one large pot or would you like two or three pots of different sizes to fill the same space? Are your containers going to serve a useful purpose such as growing herbs or veggies? Or are they going to be purely aesthetic? Are these containers going to be used for more than just a summer display? Once you have made the decision about where to place them, how many you want, and what their purpose is going be, it is time to start considering your plant material. Are your containers going to be in the sun or in the shade? This question plays a major role in what type of plants will thrive in your planting. Watering requirements also play a key part in plant selection. Some plants like to have consistently wet soil, while others like to dry out a bit between waterings. And lastly what color palette are you going to use? If you are going to use your containers to grow Herbs or Vegetables, be sure that there is good drainage in the pots you choose. Full sun is also best for this type of planting. Almost every herb or vegetable can be grown in a container, but here are a few that are sure to do well. 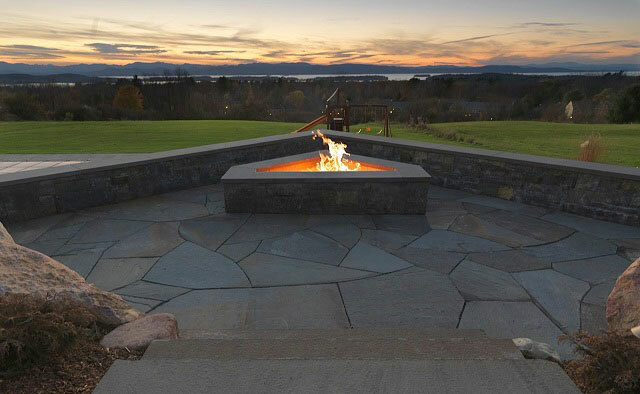 As evident by the photo of our work gracing the cover of The Best of Central Vermont Trend Watch this Spring, fire pits are becoming more and more popular in the landscape. They have become one of the first things that new clients ask to be incorporated into landscape designs of both new landscapes & landscape renovations. Why is this? One of the major landscape trends over the past few years is to extend your home/living space outward into your yard. 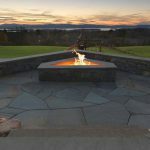 By incorporating a fire pit into the landscape you are increasing your ability to use your yard well into the evening and throughout the year especially here in Vermont. Not only do fire pits add to your useable outdoor space, they can also fit any design style. 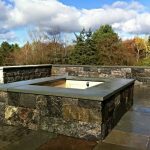 If your style is natural and free flowing, small boulders ringing the fire pit, with larger boulders strategically placed as seats would be easily incorporated. A formal fire pit built out of stone can either be set into the patio or built up as a raised feature for you to place furniture around. Outdoor fire places can create an even more formal look which can be incorporated into outdoor kitchens and double as pizza ovens. Whatever style is chosen the space is guaranteed to be a hit and you’ll be glad you added one to your landscape. 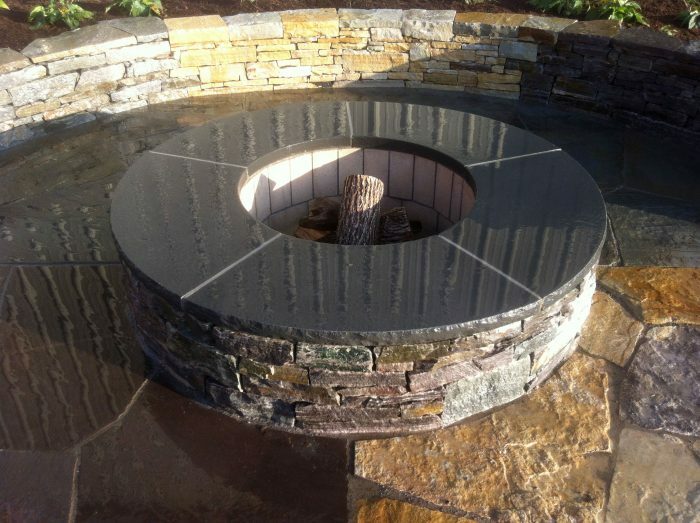 You can see some of our past blog posts featuring fire pits titled Backayard Patio and Shelburne Landscape, or this HGTV link for photos of outdoor fire pit designs.